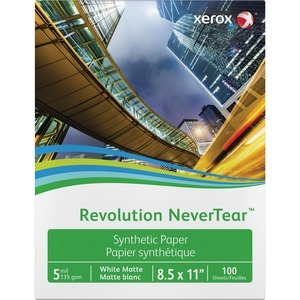 Revolution NeverTear is an exceptional synthetic paper for unmatched durability. It holds up to wet weather, chemicals and rough handling while looking great. It is engineered with a premium coating for static control and a superior surface for printing high-impact images and graphics. Synthetic paper is great for signs, menus, manuals and much more.